Valentine’s Day is fast approaching. For many couples, this means a chance to get away from the world for a while and enjoy life together. New couples can plan a romantic trip and forge new memories. Married couples may want to relive all memories in the spot where they dated or had their honeymoon. Some will have the perfect location in mind, while others struggle with so many possibilities. So, where should you book your romantic Valentine’s vacation? Below are 5 of the best choices for couples that want an island adventure that they will remember for a lifetime. This is an interesting choice for anyone that struggles to choose between a tropical island getaway and a trip to France. France has the wonder of beautiful little towns, great patisseries and some of the finest dining experiences in the world. The tropical islands of the Caribbean have clear waters, stunning beaches and vivid cocktails. 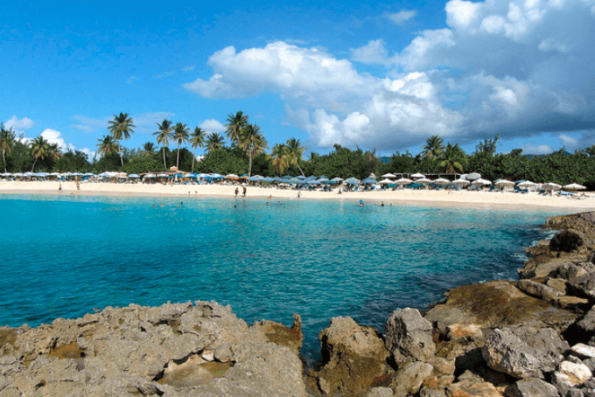 The great thing about St Martin is that it combines the two – often in the French language. This island doesn’t forget its roots, which means a romantic Valentine’s Day vacation like no other. Married couples that once honeymooned here have returned to find that nothing has changed. There is a timeless quality to the island that will not fade. This is a wonderful place to spend a romantic getaway. Some couples may think that this sounds a little predictable – as though all couples want to come here and there should be somewhere more personal and original to choose. However, there is a reason why so many people flock here. There are few places in the world where you can spell out a romantic message to a loved one in pink sand. These pink beaches are just part of the beautiful scenery here, which also includes plenty of places to swim and snorkel. 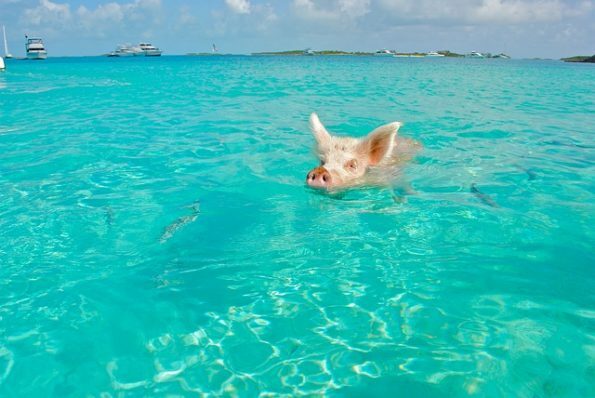 Perhaps your spouse has always wanted to swim with the pigs. There are also lots of high-end restaurants and hotels to make that Valentine’s trip even more special. 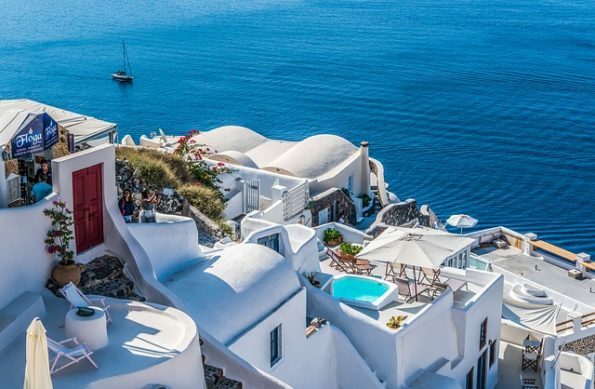 Santorini and Mykonos are popular with many honeymooners and holidaymakers, and it is no surprise to find that both islands make great Valentine’s Day destinations. The Island of Mykonos is appealing because of the traditional golden sands and azure waters of the Med – not to mention the quaint villages and the chance of a designer Valentine’s gift. But, many will also turn to Santorini because of its beauty, charming settlements and the sunsets across the water. The answer here is why not see both? Both a two-part vacation in both islands. Or, charter a boat to see them both from a different viewpoint. 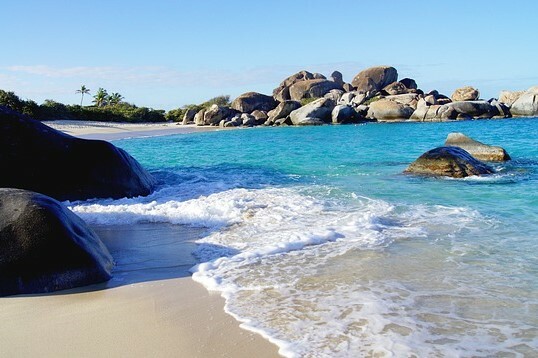 The British Virgin Islands is a set of islands that is often overlooked when it comes to romantic island getaways. If you think that the Bahamas is a little cliched, this could be the ideal alternative. It is also one that many may not see as “romantic” if all they see are the rum-soaked party locations built by infamous pirates. However, there is a romantic side to these islands. There are plenty of beautiful beaches, stunning views from the many peaks and great resorts that are ready-made for couples. Add in the great food, snorkelling and sunbathing and this is a great place for a Valentine’s Day vacation. Take a chance on this lesser-known destination and create a vacation you will talk about for years to come. 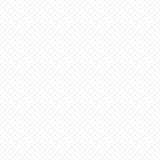 Finally, we have the islands of Italy. 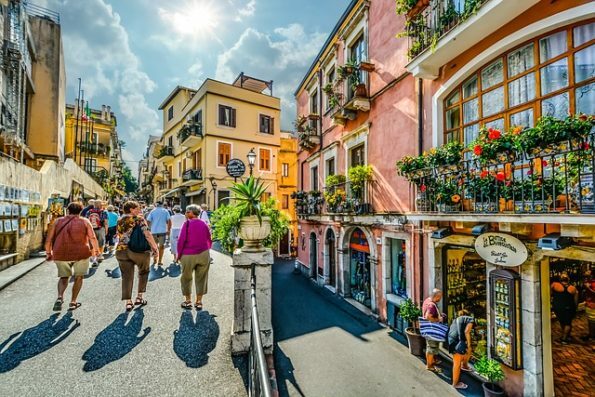 Italy is a country famed for its romantic getaways. The cities of Florence and Venice always capture the hearts and minds of travellers. The islands off the Italian coast capture the same magic with the same beautiful cuisine, wine and atmosphere. The added benefit of being on an island is the chance to enjoy the sunset over the Mediterranean, to dive in the vibrant water or to island hop on a yacht. The Aeolian volcanic islands are a definite treat with their spas and springs. Sicily has the drama while Sardinia has the luxury. Whichever destination you choose, you can be sure of a great trip that you can both look back on with fond memories. All these destinations have their own charms and quirks that make them perfect for a Valentine’s Day vacation.